January Member of the Month – Lisa! One more sleep until the Rowathon! Congrats to our January Member of the Month – Lisa!! 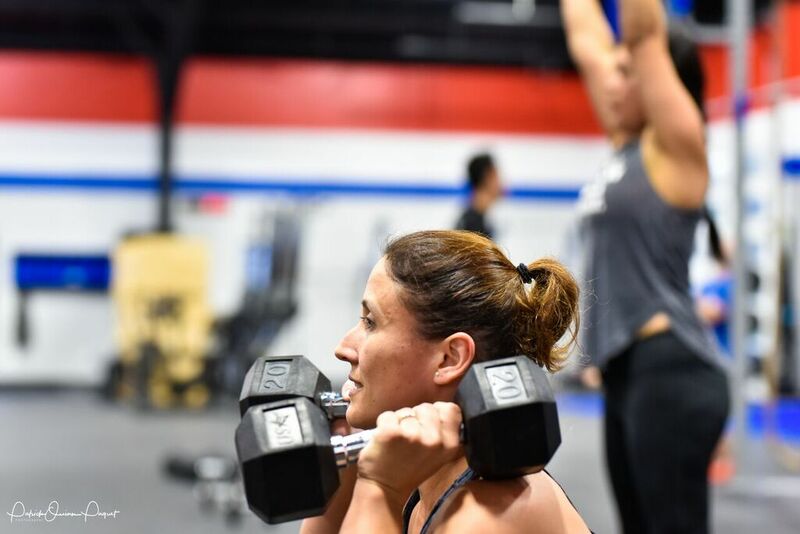 Find more about Lisa below..
How did you get started with Cross Fit? I started to do Cross Fit 2 years ago. I own a company that provides cleaning services to various businesses and one of the businesses I provide services for is TILT in Sudbury. Coach Brian invited me to join and try one class to see if I liked it. I was nervous and very shy the first class because I had never done it before at any gym and did not know much about it. It was a bit scary for me. What is your favorite memory at TILT? I have many awesome memories at TILT. Each day, being at the gym is a special part of my day. My workout with friend at TILT is a special reserved time of my day. One special memory I have a TILT is the first time I climbed the rope. When I did that I realized that I was really doing Crossfit and that made me feel like I was part of the Crossfit community at TILT. I love doing burpees. From the first time I did them until now I still feel the muscles in my arms and legs working out at the same time. I would travel with my family to Sardinia, Italy with my Dad and my Brother because we are far away from each other and its hard to be together . It is such a beautiful and amazing place. It seems like you have a new pair of shoes almost every day.. what is your favorite pair? Haha! I don’t have new shoes every day but I do love shoes. My preferred pair are blue high top No-Bull shoes. They are comfortable and provide more support when having to do box jumps or lift weights. It makes me very happy when I can help other people. I love moments talking with friends at the gym. And I am simply thankful for TILT. Accidentally did 20 cal on bike first round.